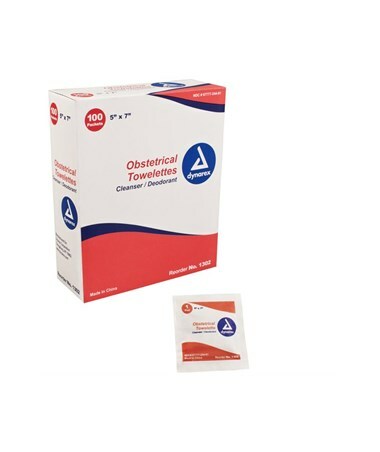 Dynarex Obstetrical Towelettes are great throughout the postpartum process whenever cleansing and refreshing is needed. 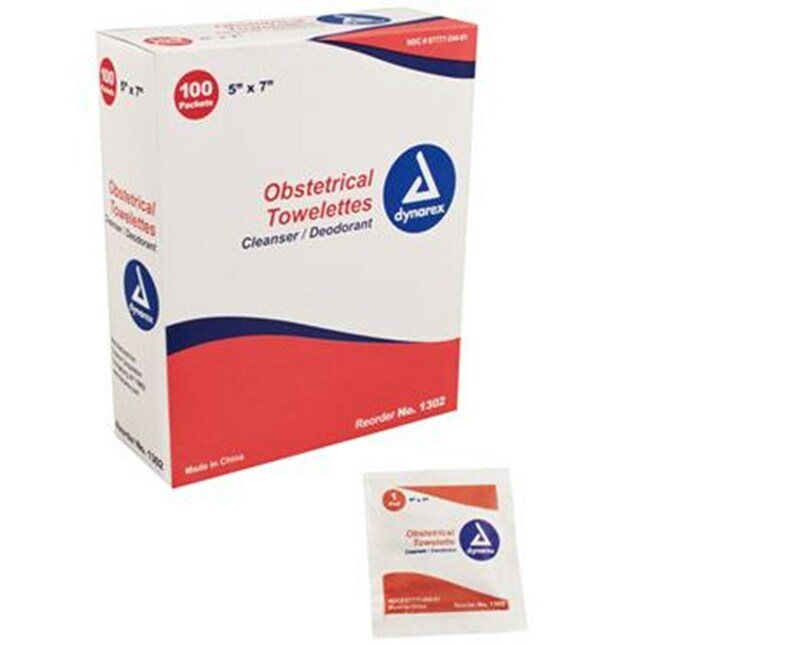 Perfect for sanitizing sensitive areas Dynarex Obstetrical Towelettes for mom's special hygiene needs. The convenient 5" x 7" size makes it just big enough to get the job done without being cumbersome. Contains benzalkonium chloride solution 1:250, to yield 1:750, alcohol 5%, chlorthymol.